...Congratulations on the addition of your kitty kid to your family! We are here to help you keep them healthy and give them the best possible start in life. 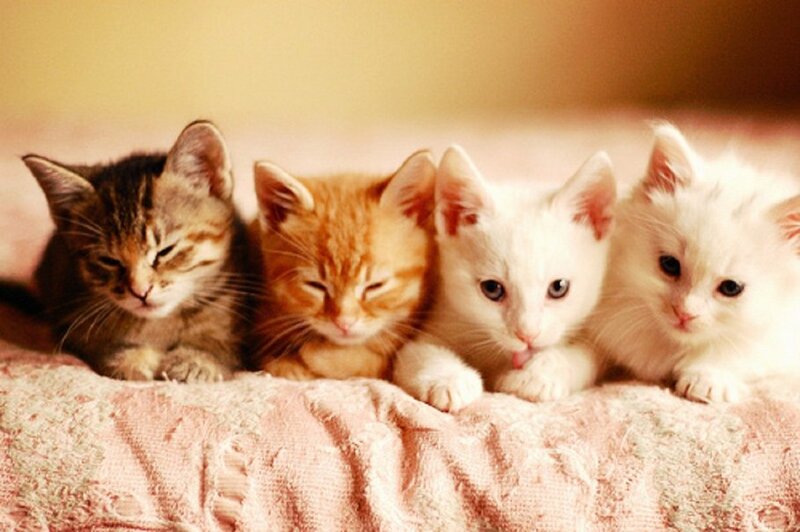 Vaccines for kittens allow them to be protected against all the common diseases that can harm them. Our Healthy Paws Kitten Care Plans include everything a new kitten will need to be protected. The interactive chart below illustrates what kittens need. Hover over the icons on the left to learn more. Below our chart you will find an overview of what we include in the Healthy Paws Optimal Kitten Care Plan and the Healthy Paws Classic Kitten Care Plan. We have included everything needed to keep your pet healthy and safe. Each kitten appointment is scheduled for 30 minutes with a Veterinarian so you will have adequate time to have all of your questions and concerns addressed. Our Healthy Paws Savings Plans offer a substantial savings and can be paid in installments or in full at the first visit for an additional savings. Our appointment hours include Saturdays and evenings! Call today to arrange a convenient time for our Doctors and staff to meet your newest addition! Give your kitten a healthy start with a Healthy Paws Kitten Care Plan!